Tara writes fiction about people and satire about everything. Originally from the west of Ireland, she now lives in Dublin, where she also works, eats, and occasionally, sleeps. Had a good ole creep through your blog and just wanted to say that it is hilarious/brilliant. Ha, yes I think we need to! Plus we can stock up on blaas while we’re there! They weren’t there! So you missed nothing – there were no opportunities for sabotage AT ALL. Still, we could start a boycott-the-blaa movement and start producing maps of the country missing one corner. That’ll show ’em. And we’ll win next year. drinking out of anything remotely crystal. Thanks for thinking of me Eilish, will definitely have a look! In June and Statistical Anomalies In The Probability Of Love. When will we be able to read these? They aren’t already out there and I’ve somehow missed them?? Er… yes. That article rather made it look like I’d let these babies walk around by themselves, didn’t it?! Those two novels are written, but not published. I only let them out to play in competition. I’m currently doing surgery on no. 3. 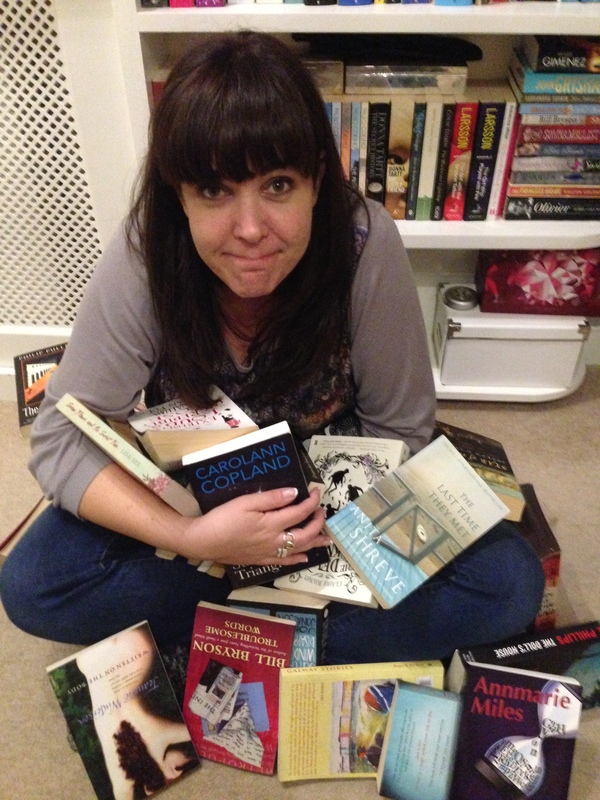 Trust me, if and when I do publish, you’ll be on your knees, pleading with me to shut up about it! Um gulp, you’ve won awards and you’ve followed me!? Shouldn’t it be the other way up? Or round? Or some other multi dimensional shape. I touched in a totally normal uncreepy way and deeply humbled much as I was in the playground every time sides were picked for it and stuck in the mud. Ta. Muchly gratified. Will return the oojit. Thanks Marina. Please to meet you too. Do stick around. I’ll try and come up with something half decent to make it worthwhile! I usually always take a look at the “about” page of a blog very early on, Tara, but strangely, it seems I’d never visited yours before. I wasn’t very surprised to read that you spend all your spare time with words. I already knew you were good with those. However, I was stunned to learn that your job involves also being good with numbers. I don’t know how you can fit both words and numbers into your brain at the same time without riots breaking out. They’re so different from each other. Words are cute, friendly and approachable. Numbers are stern, critical and unforgiving. I’m terrified of the latter and only ever go near them if I have no other choice. I really like the photograph you use on this page, by the way. To me, it suggests a tremendous love of books, a wonderful sense of humor and a filing system not dissimilar to my wife’s. I’m glad you commented, Bun, because I forgot this page was there. It’s hopelessly outdated. I’ve had a haircut since I put this up. I’ll get my PR firm on to it immediately. They’ve already sent me a crisis management document about the state of the place since Marie Kondo’s The Life-Changing Magic of Tidying Up book changed fashionable interiors forever. On another note, you’re wrong about numbers. Truly. I know it’s mad, but much as I love words, they can’t give comfort like numbers can. Numbers, for instance, are questions that can always be answered and answers to questions that can’t even be asked. I know there’s something wrong about that, but it just feels so right. I’ve had many discussions with people who find the precision and certainty of mathematics magical rather than intimidating. I know too that so much of science can only properly be described mathematically. Those who can’t follow the equations are left forever on the outside, having to make do with clumsy approximations constructed entirely of words. I don’t blame you for loving numbers, Tara. I imagine you’ve simply never seen their nasty side. I’m sure they are perfectly capable of being nice to people when they want to be. Unfortunately, they’ve always hated me. No matter whether they’re describing my age, my readership or my bank balance, numbers have never wasted an opportunity to twist the knife just that little bit more. Well, I never said they were kind. Just honest. Sorry, Bun. Or am I…? Of course, I’m doing numbers a disservice by calling them unkind. Like nature, the universe and our childhood crushes, they just don’t know we’re here. I like your ‘About Tara’ description. You know, I find logic (referring to number thinking) and writing have a lot in common. But am not sure can explain it. The most beautiful and inspiring writing I find is describing something with as few and fitting wording. 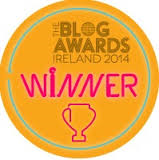 So many congratulations on winning the Annual Bloggers Bash Award for the funniest blog! Thank you guys. Delighted with it! A brilliant win, and well deserved i know funny isn’t funny to write and you do it so funnily… ?eh! *swipes hand through the air* you know what I mean. Congrats on your ABBA win 😀 I am delighted I backed a winner and delighted for you. Richly deserved. Hi Tara loved your last blog which I’ve reblogged and now I’m following you and looking forward to having a good chuckle over a pint or three. Thanks, Dermott! Wish I had a pint or three. I have a Friday feeling, but sadly it’s only Wednesday. I know that feeling but I haven’t worked in almost two years because of health issues. Right now I’m on disability allowance so if I save the pennies for a while I can break out and have a pint. 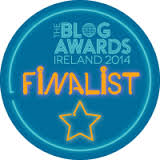 Sorry to hear that, but I d hope you get that pint…..
From one Irish kid to another, your blog is awesome!!!!!!! You too? Ouch. Clearly the crick bug is going around.